Winning is about having fun. If you make a mistake and you make it fun, you’re winning. 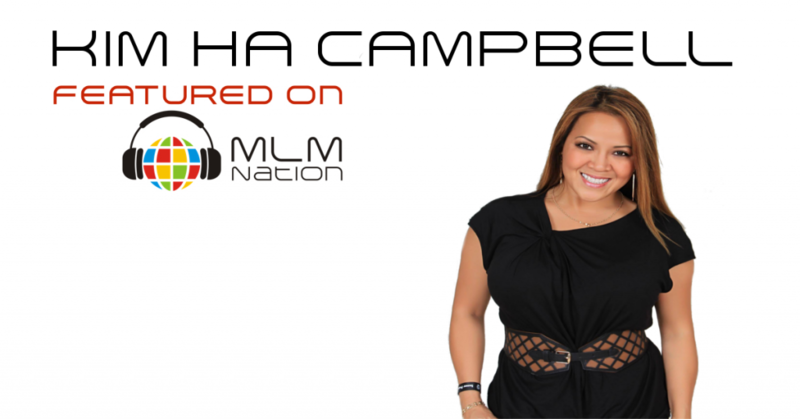 Kim Ha Campbell shows us how to make the grind to success more enjoyable. Also the B.E.A.C.H system designed to help people overcome life challenges. Who is Kim Ha Campbell? Kim Ha Campbell is a multiple 6 figure MLM leader, an inspirational speaker, a life and business coach, a best selling author and the founder of the InnerPeace OuterAbundance movement. Kim was born in war torn Vietnam and escaped her country at the age of 13 to live in a refugee camp. 2 years later, at the age of 15, she arrived in America filled with optimism, goals and dreams to begin a new life. However Kim quickly found new challenges and hardship. Not only did she not speak English but she was sexually molested, was raped and was in a series of abusive relationships. Today we’re going to hear her story of how Kim was able to overcome her hardships and became a self made millionaire in real estate and in network marketing. Recently she wrote the best selling book called Inner Peace Outer Abundance which talks about her B.E.A.C.H. system which is a tool for helping people overcome life challenges.